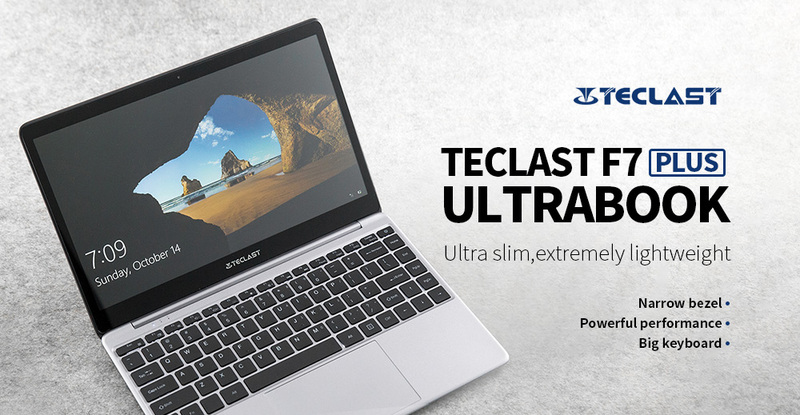 Great News, Now Teclast F7 Plus now are on sale. Get yours now before the promotion ends. 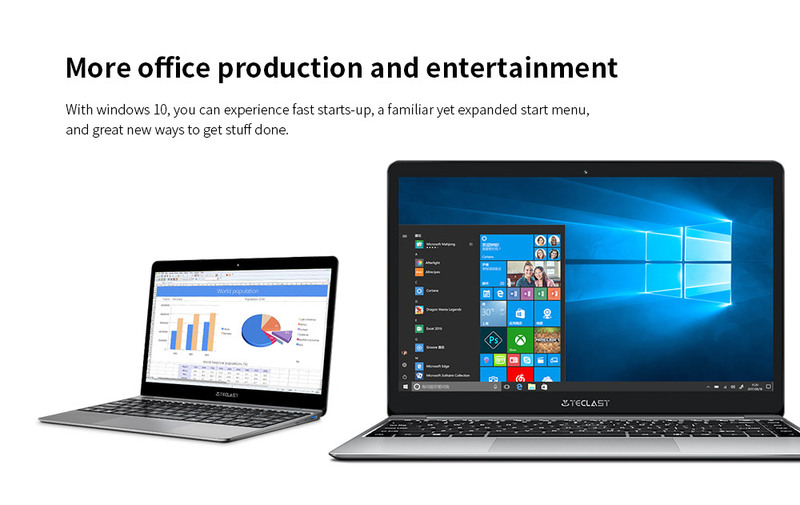 The Chinese manufacturer of relatively inexpensive laptops and tablets, Teclast, is preparing to replenish the range of laptops with the F7 Plus model. 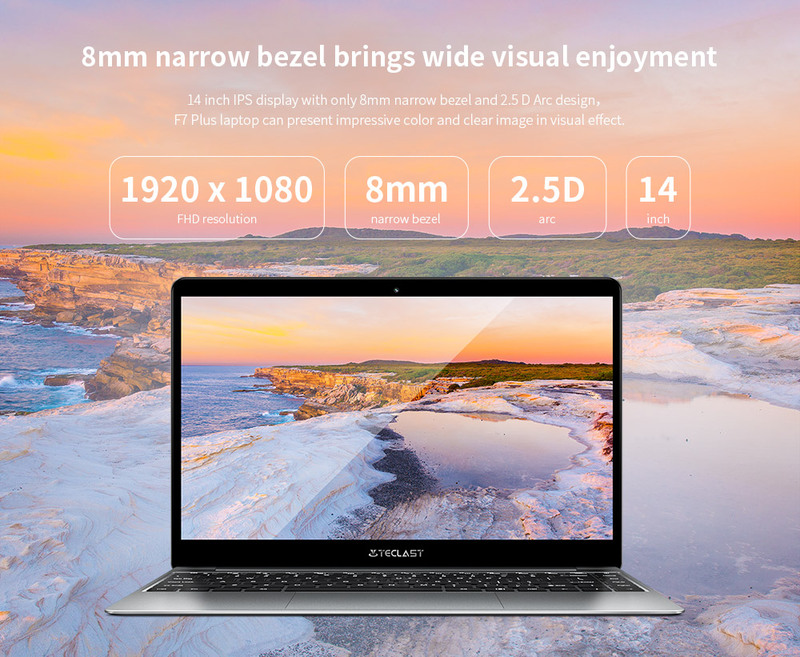 With a 14-inch screen, this Teclast F7 Plus offers a good working base consisting of a Celeron N4100, 8 GB of RAM and 128 GB of scalable storage. 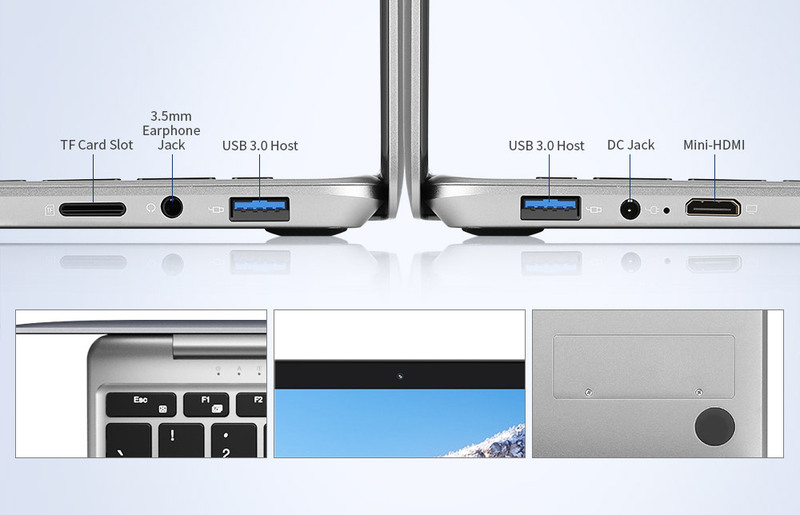 This laptop made of aluminum includes a large trackpad and has a thickness of only 7mm. It uses micro-arc design around the A-side, and CNC trimming and polishing at the edge, commonly known as a diamond cutting process. 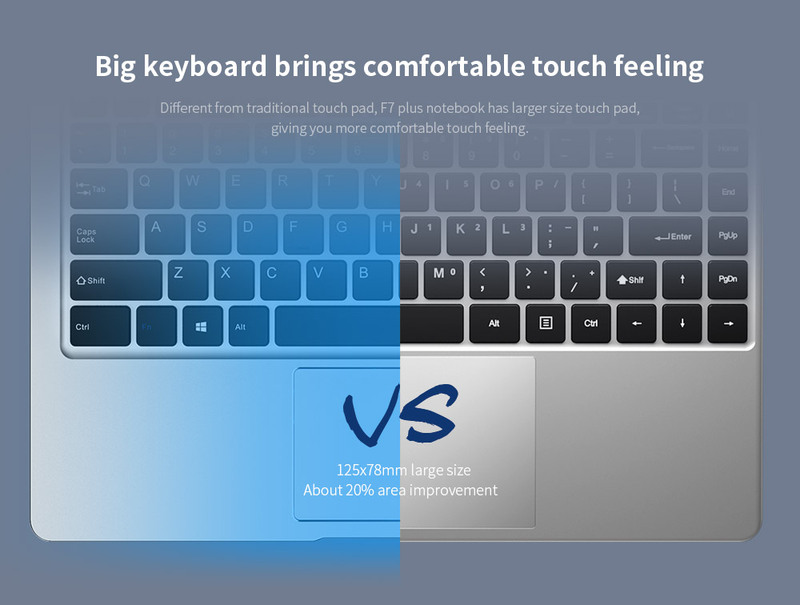 The effect is very good. Moreover, such treatment is not confined to the surroundings of the A-side, including the C side and the touch panel all have similar treatment. 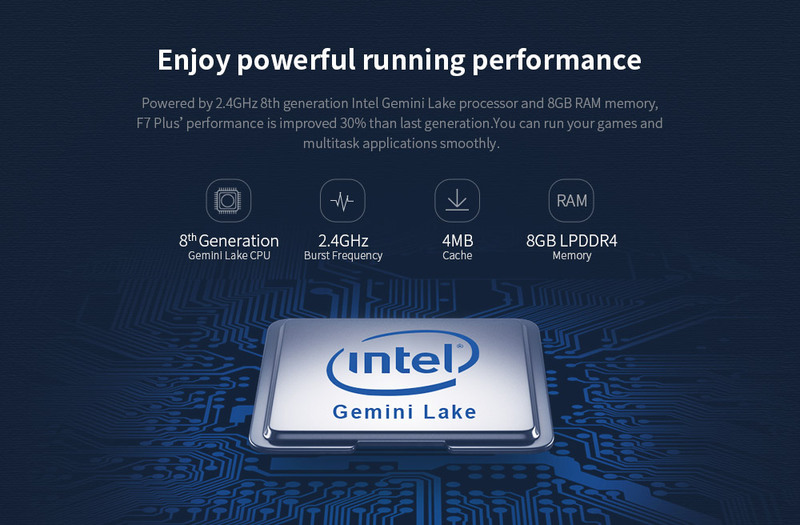 At this point, Teclast F7 Plus seems very attentive. 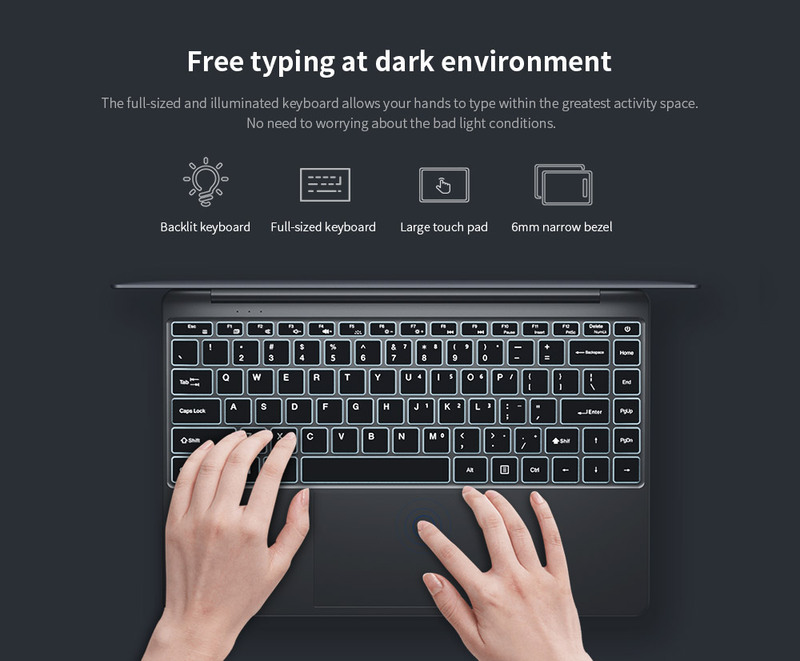 The screen is 14 “IPS with a resolution of 1920 x 1080, rounded edges 2.5D and a front camera of 2 MP. 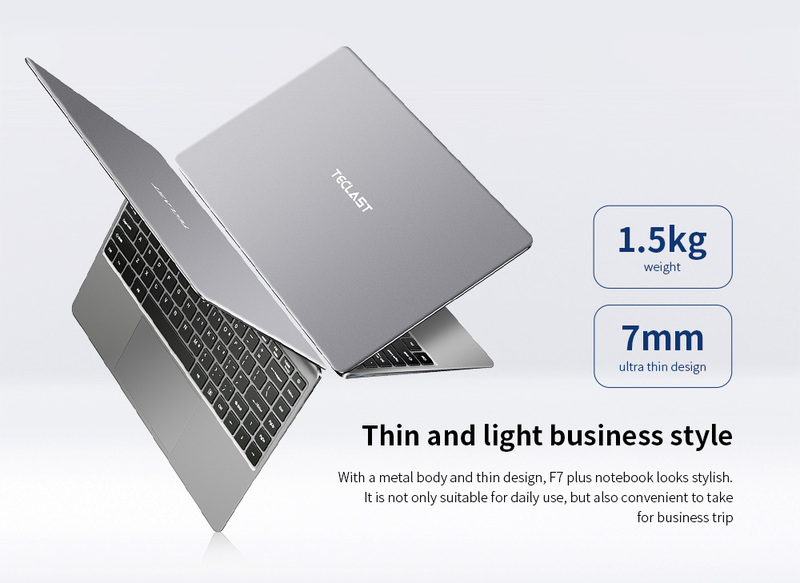 The weight of Teclast F7 Plus is 1.5000 kg, which is not heavy in 14-inch products.